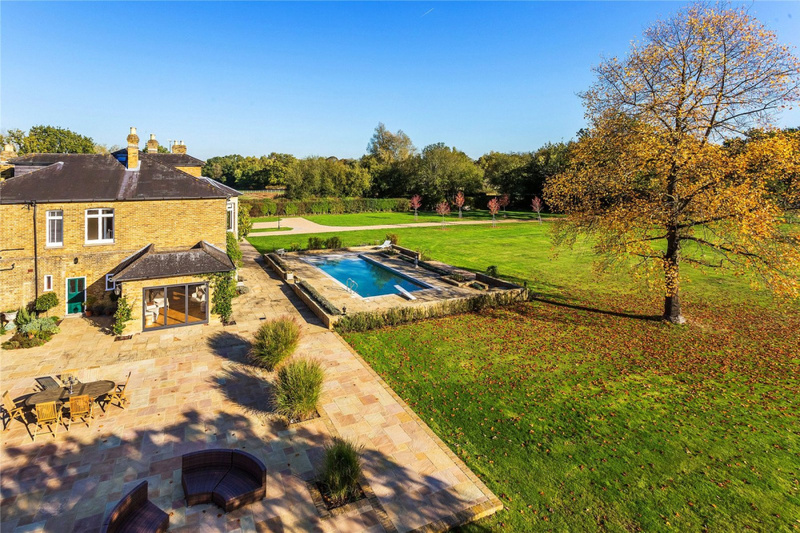 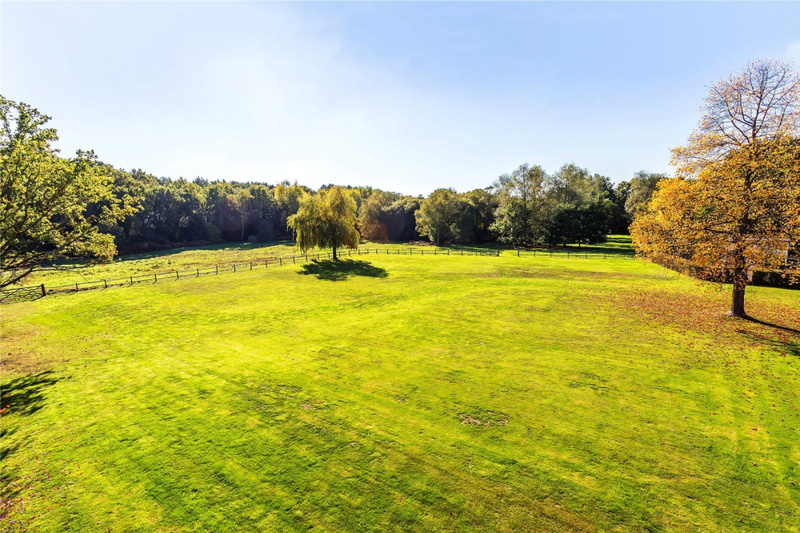 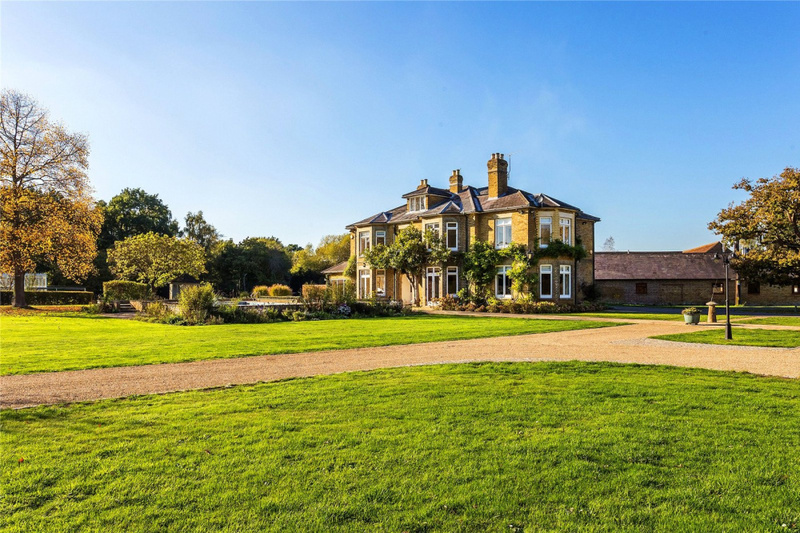 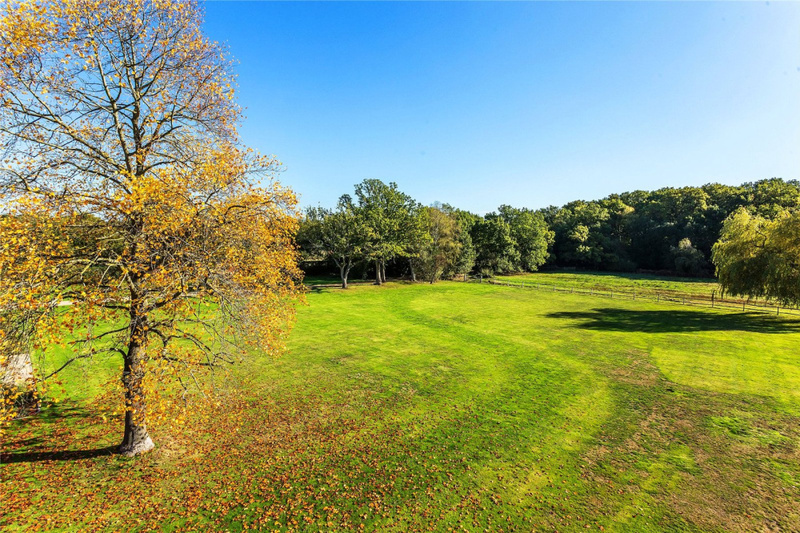 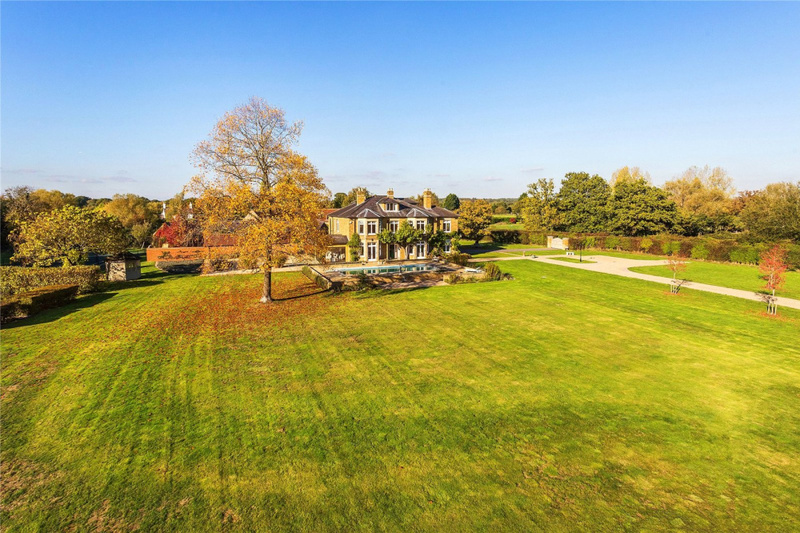 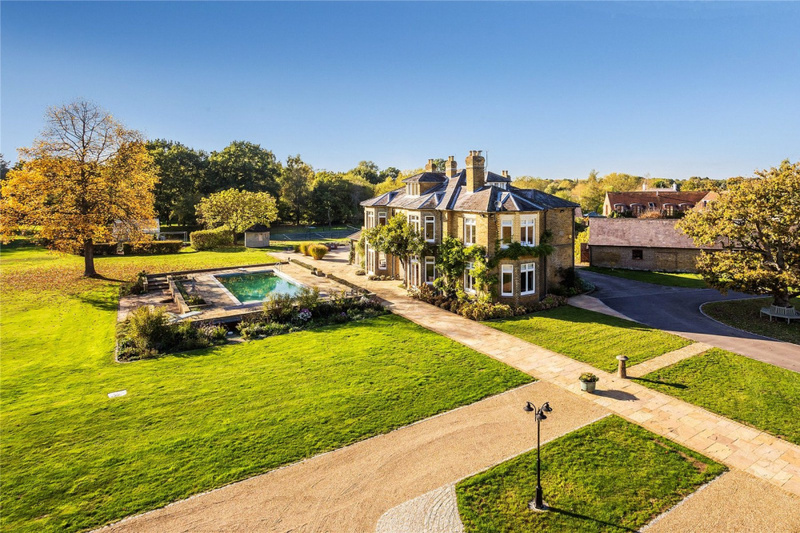 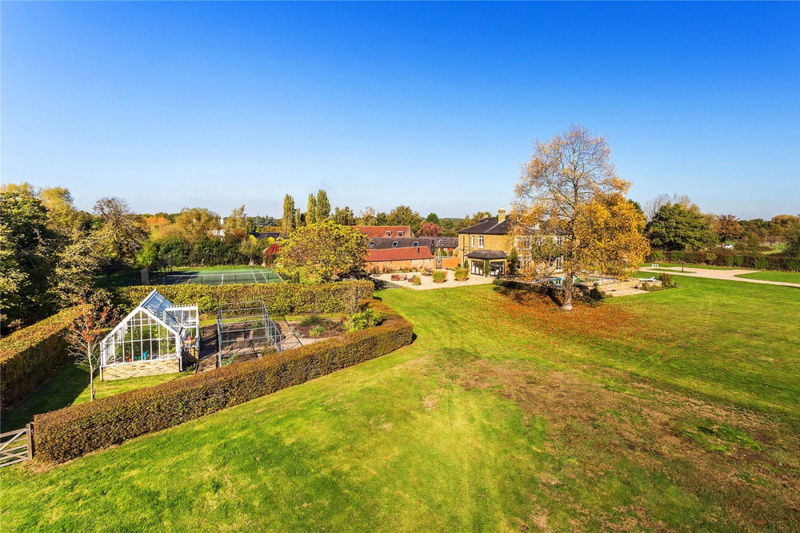 Rarely do opportunities arise to acquire such a fabulous property as Seven Acres. 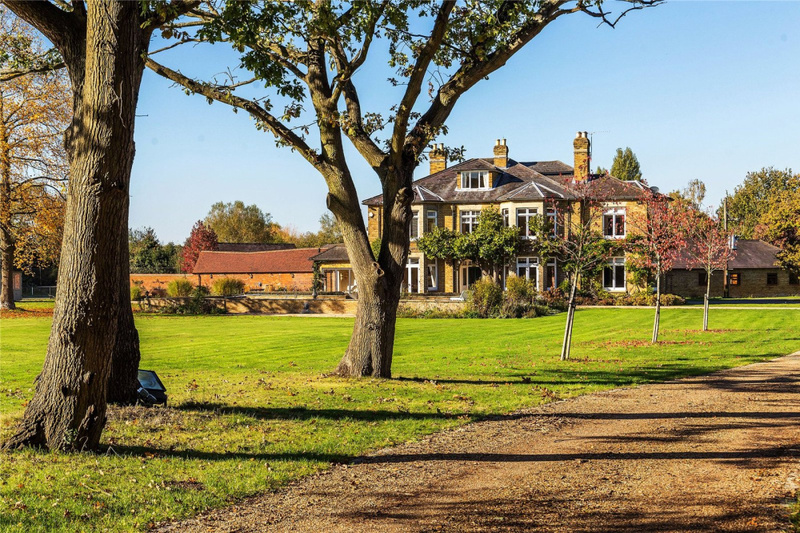 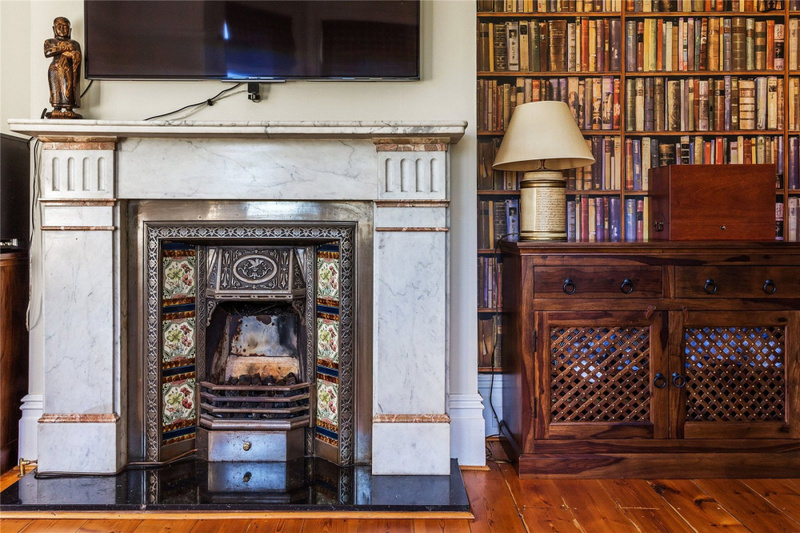 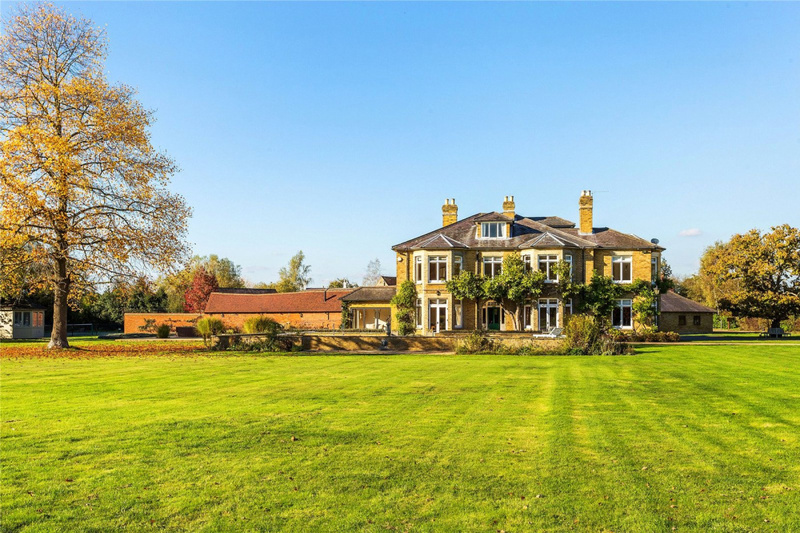 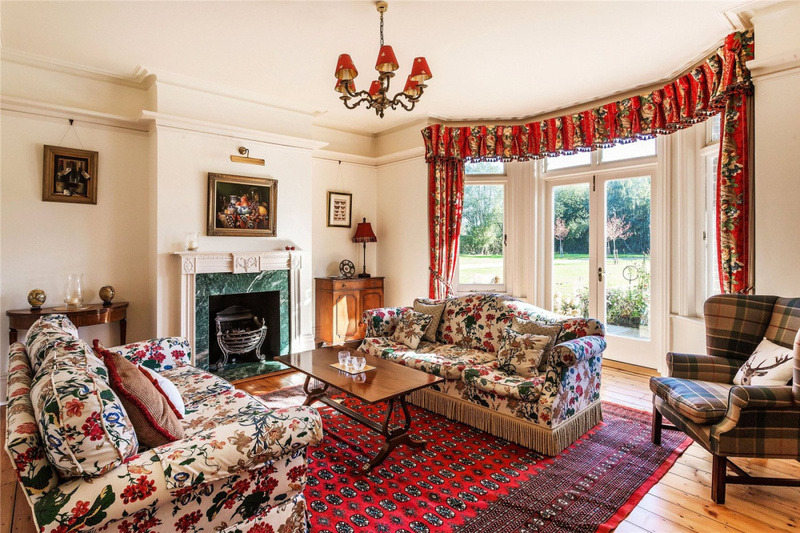 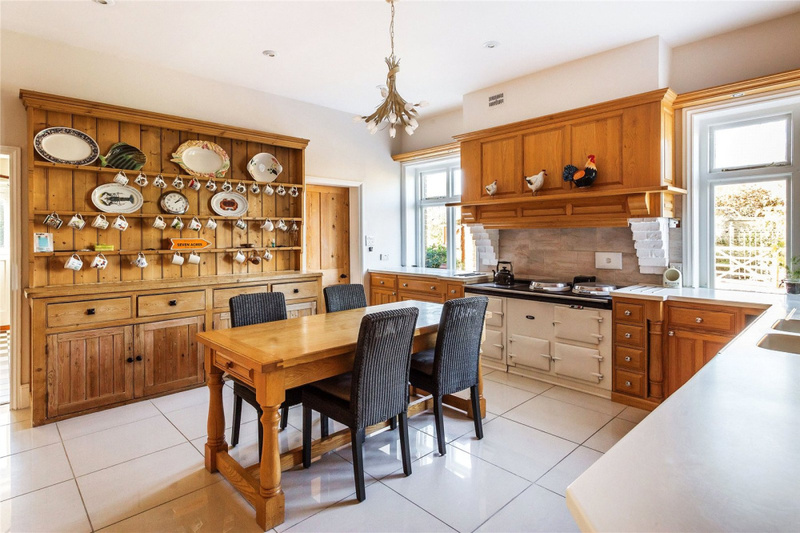 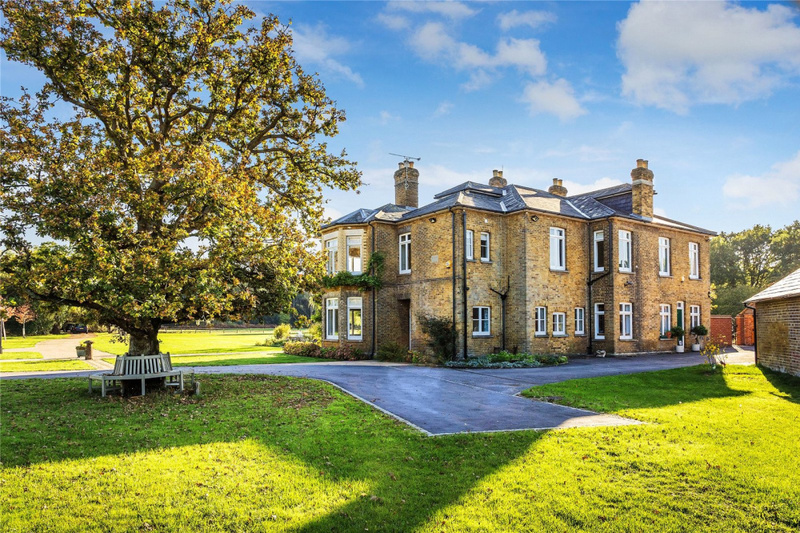 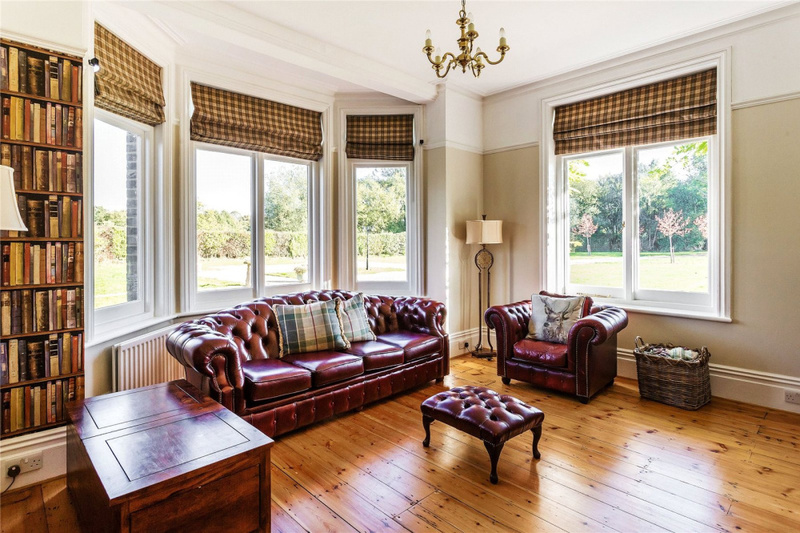 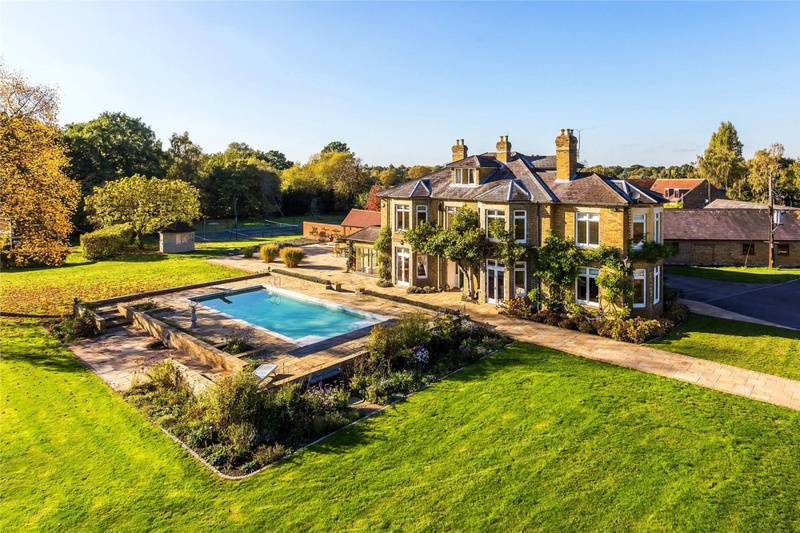 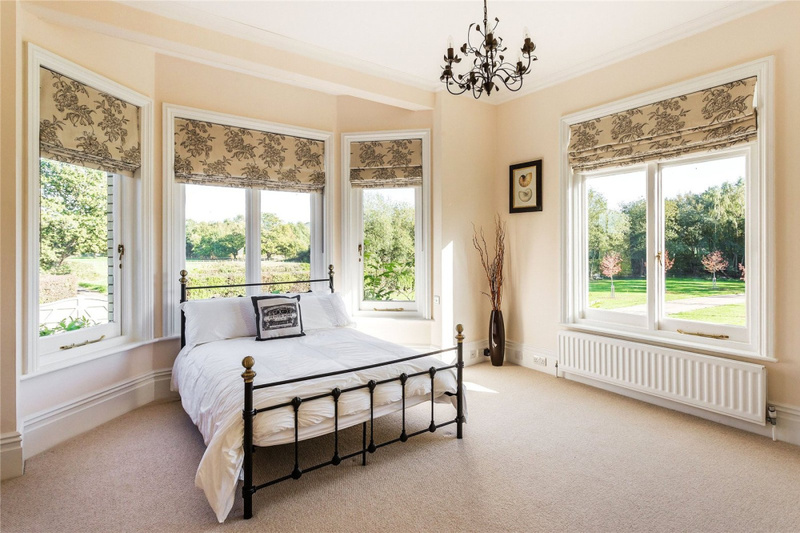 A picture perfect double fronted eight bedroom Victorian country house set in private parklike grounds within the equally picturesque Horsell Common. 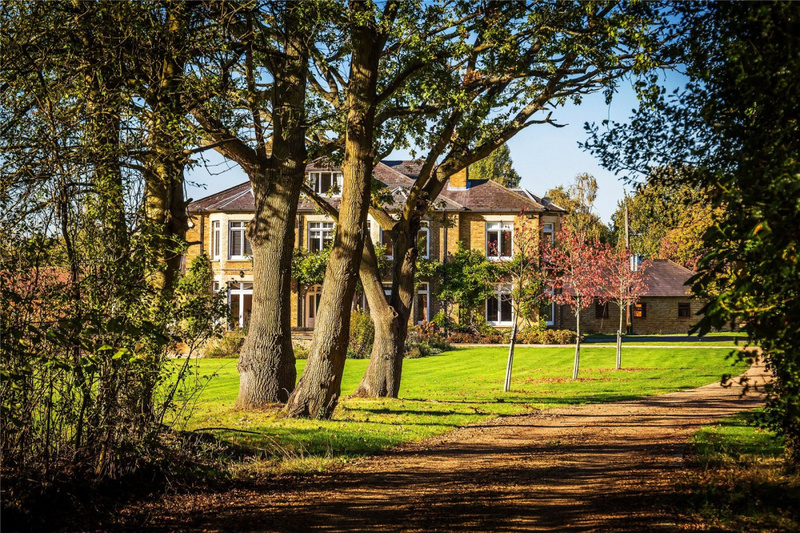 The property offers the best of both worlds, enjoying a beautifully kept rural estate circa 11.5 acres tucked away out of sight within the seclusion and surroundings of Horsell Common, yet conveniently placed within 1¼ miles of Woking town centre which is linked by frequent fast trains to London Waterloo. 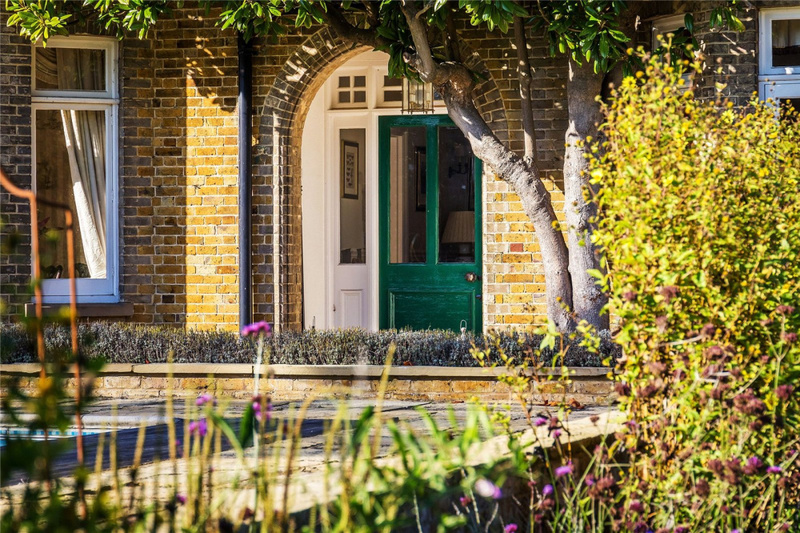 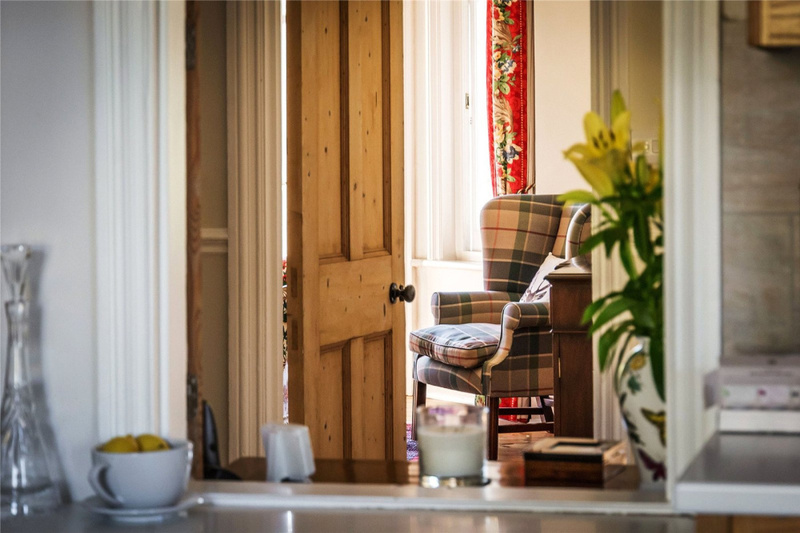 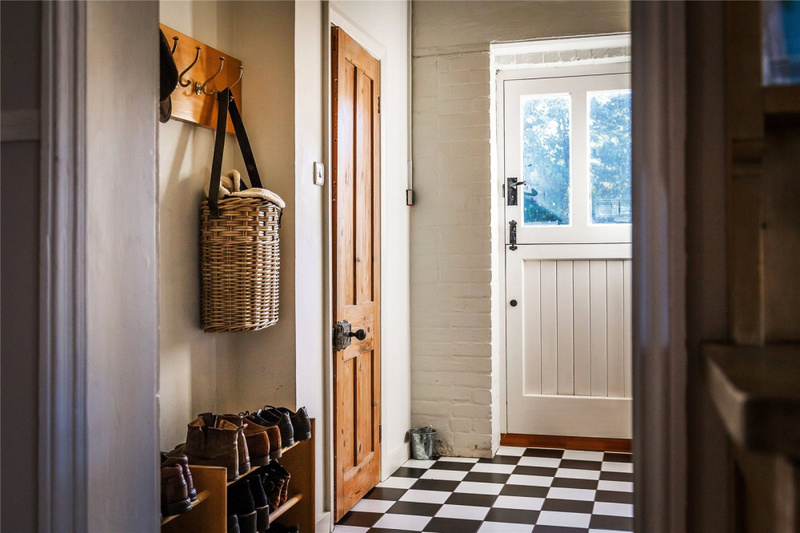 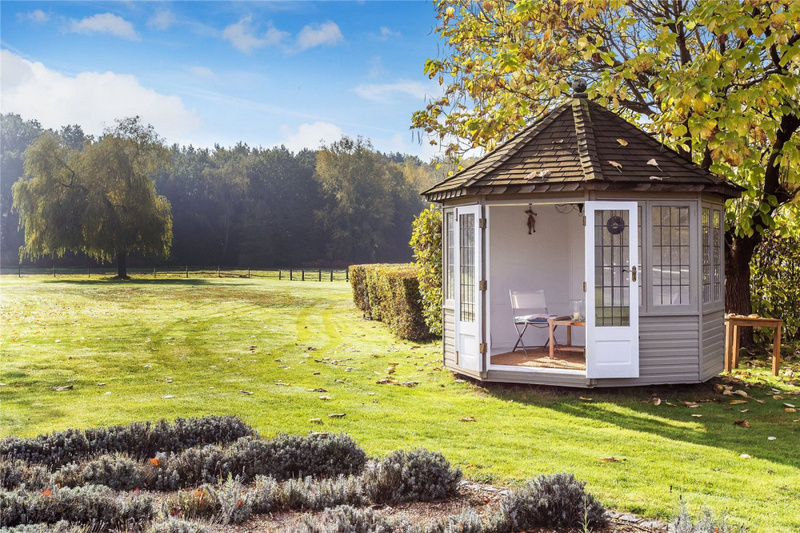 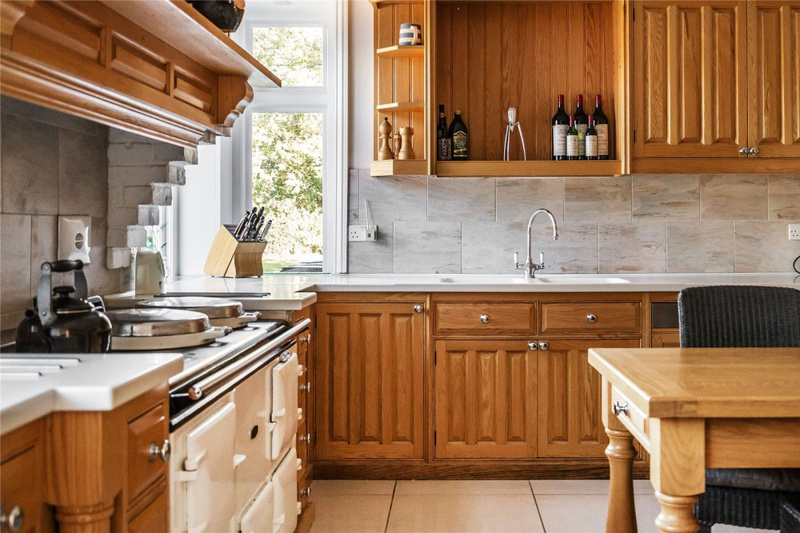 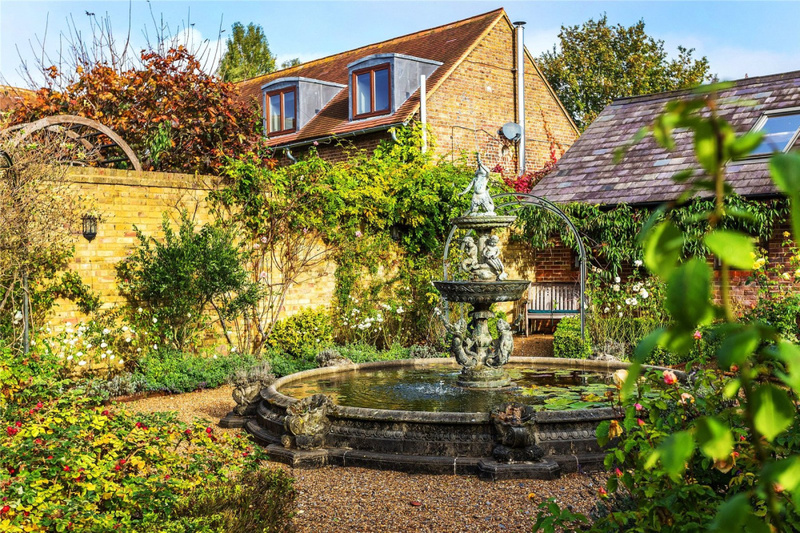 Lovingly updated and restored over many years by the current owners, Seven Acres offers wonderful accommodation in keeping with the property's age and design. 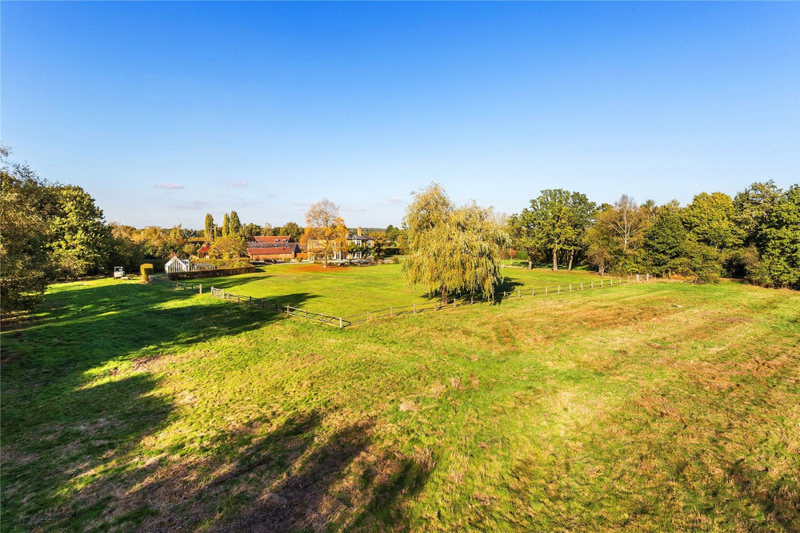 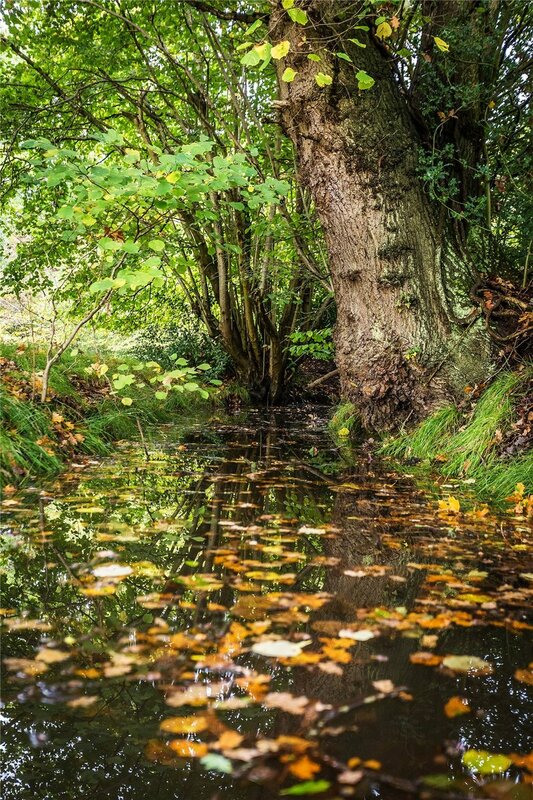 The approach is via a private track which takes you through rural woodland. 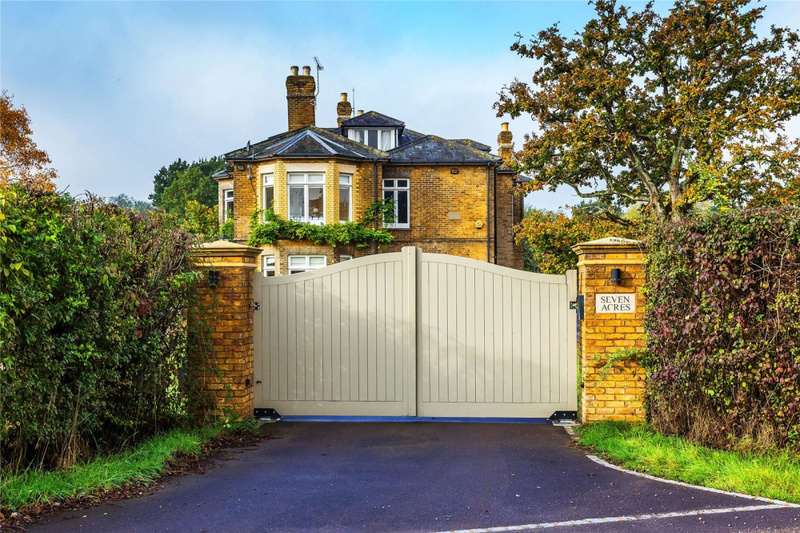 Once through the gated entrance you are greeted by an impressive sweeping driveway with the property announced in the distance, there are few properties in the local area that offer this 'leave the outside world behind you' feeling. 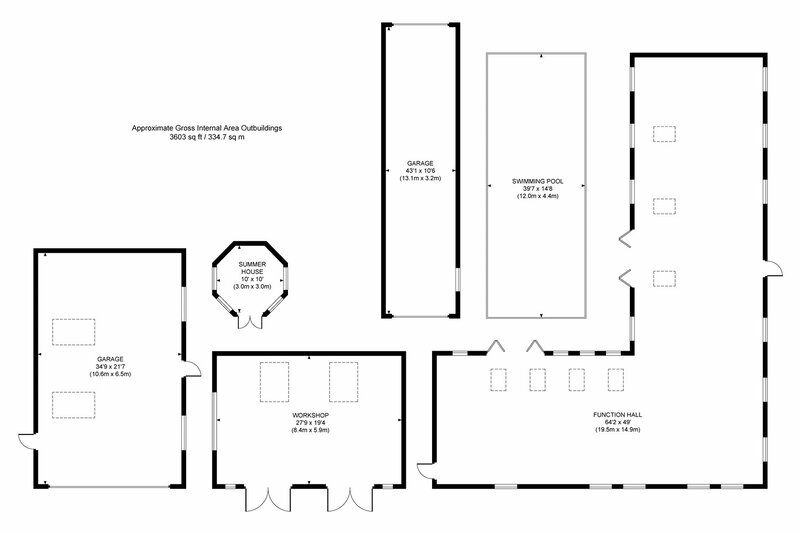 There is an abundance of parking along with extensive garaging. 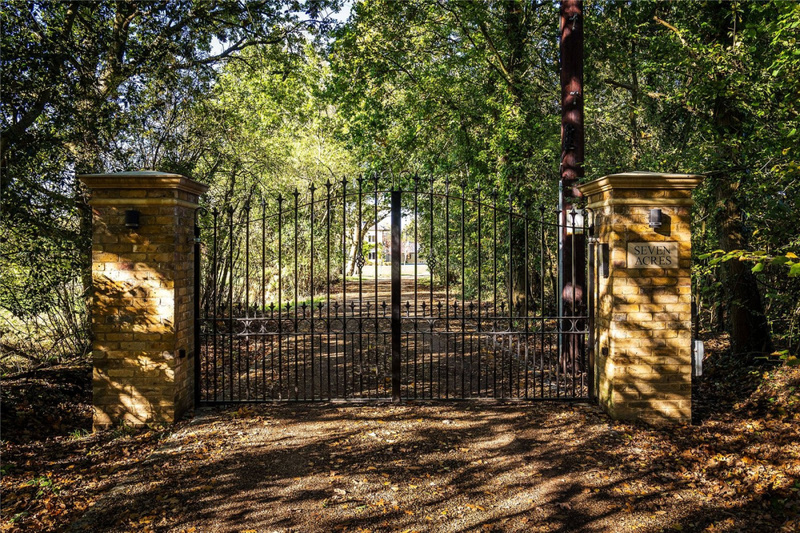 A formal parking area is located to the right of the main house along with a second set of gates which makes an ideal service entrance. 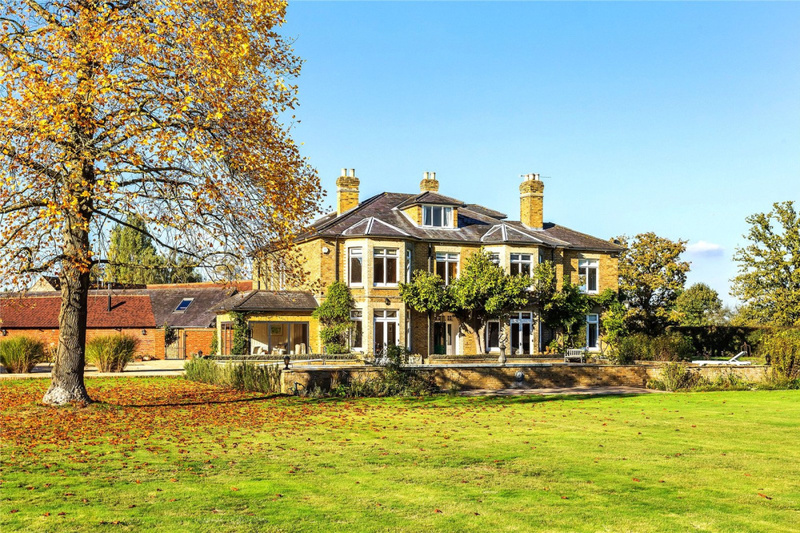 The main house was built in 1893 as a large double fronted family residence. 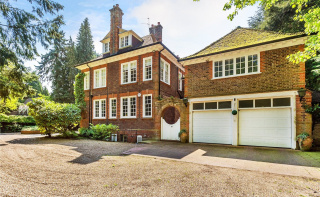 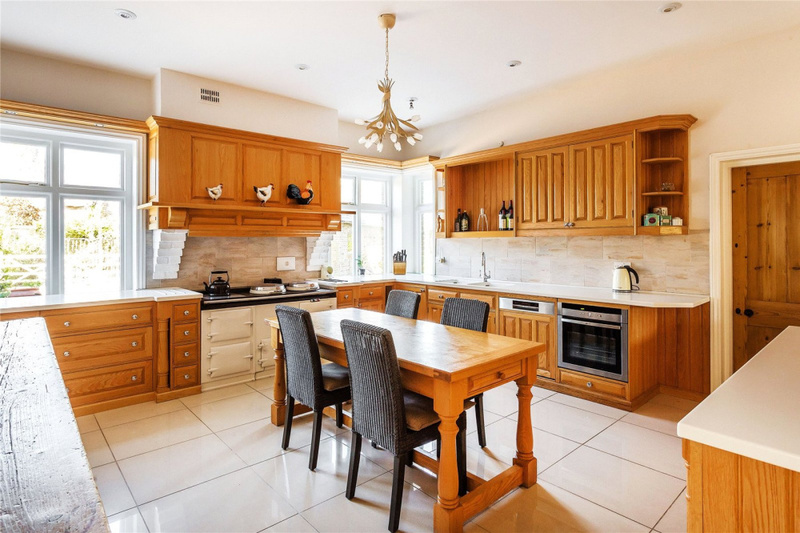 The property itself boasts accommodation in excess of 5000 sq ft arranged over three floors which has had some sympathetic extensions. 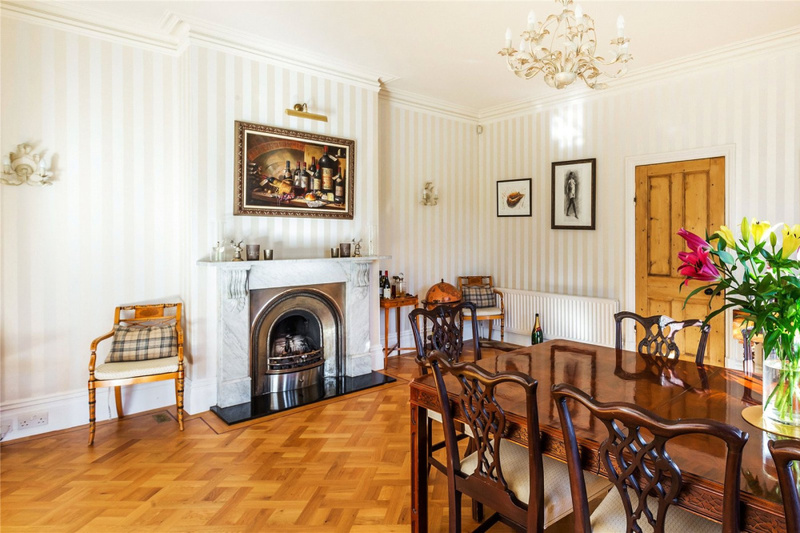 It remains traditional in its layout with spacious formal reception rooms all with high ceilings, fireplaces and bay windows. 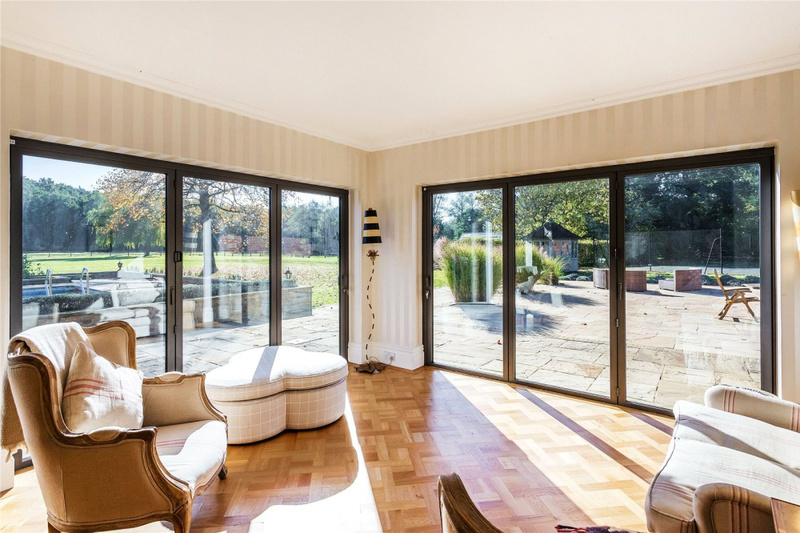 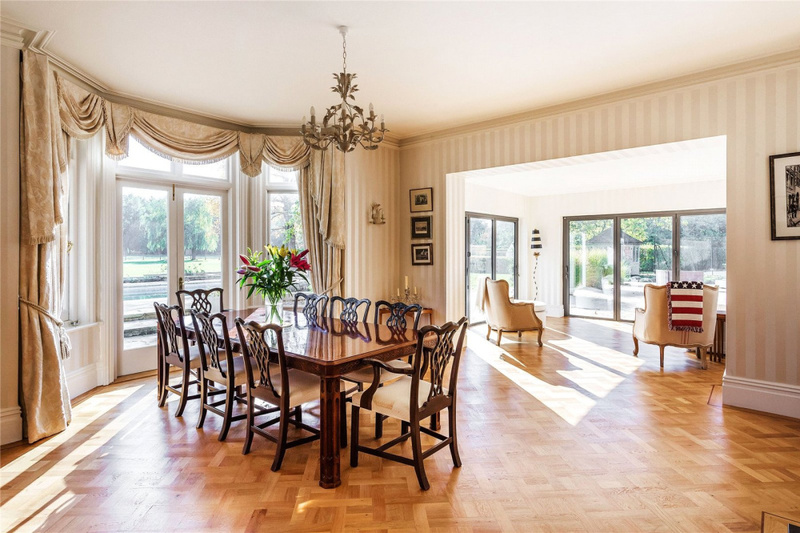 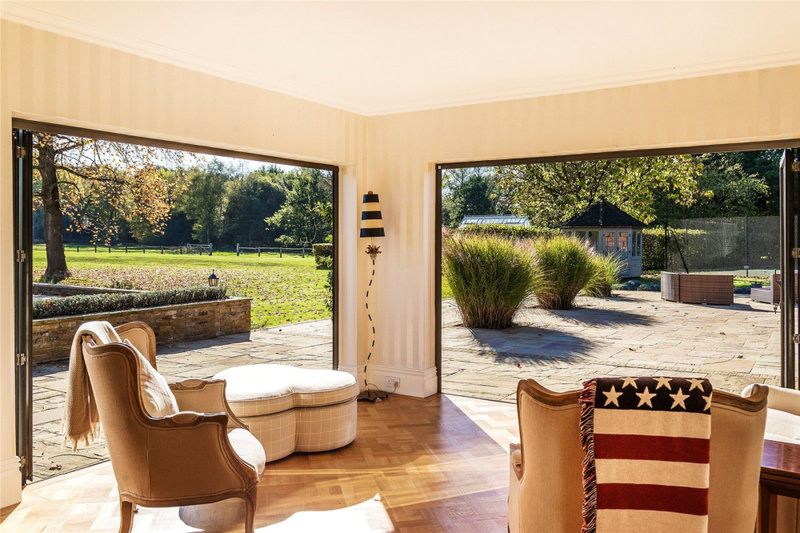 As you enter on the left you will find a generous original dining room that opens onto an extended sitting room with two large bi-fold doors flooding the area with natural light and making the most of the surrounding un-interrupted panoramic views. 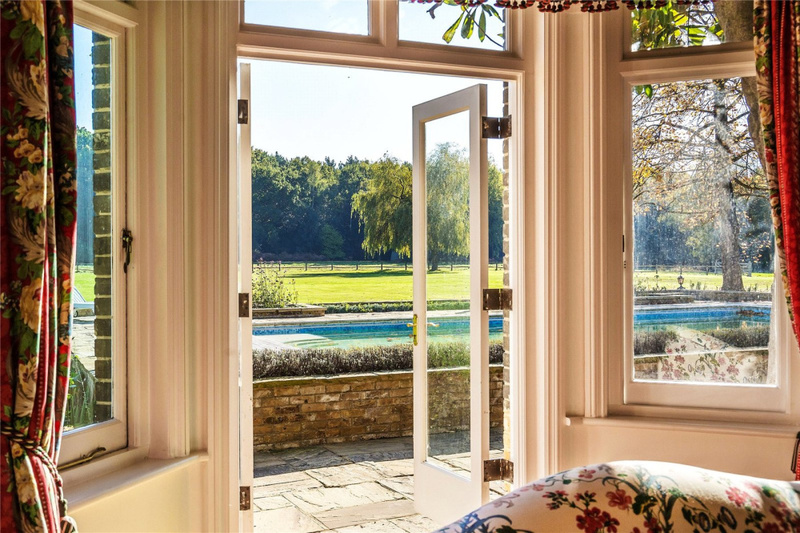 Across the hall, the equally spacious drawing room also makes the most of the views with large windows and patio doors in the bay. 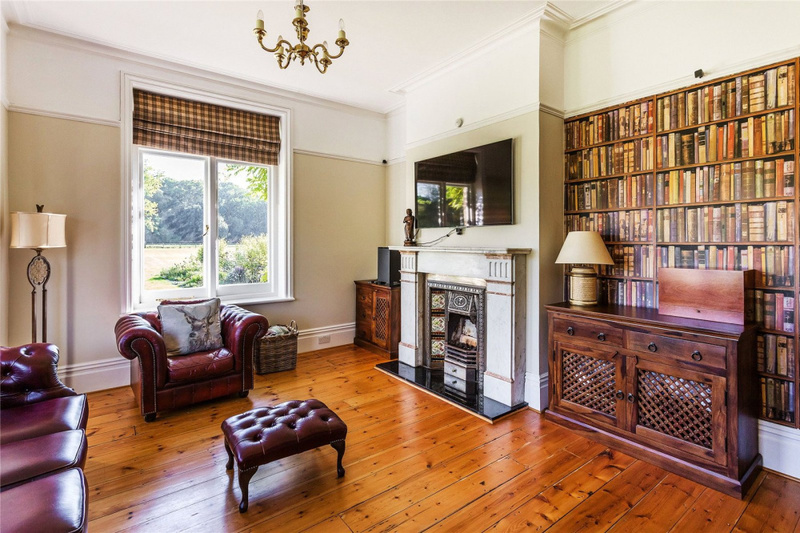 Additional receptions include a comfortable living room and study. 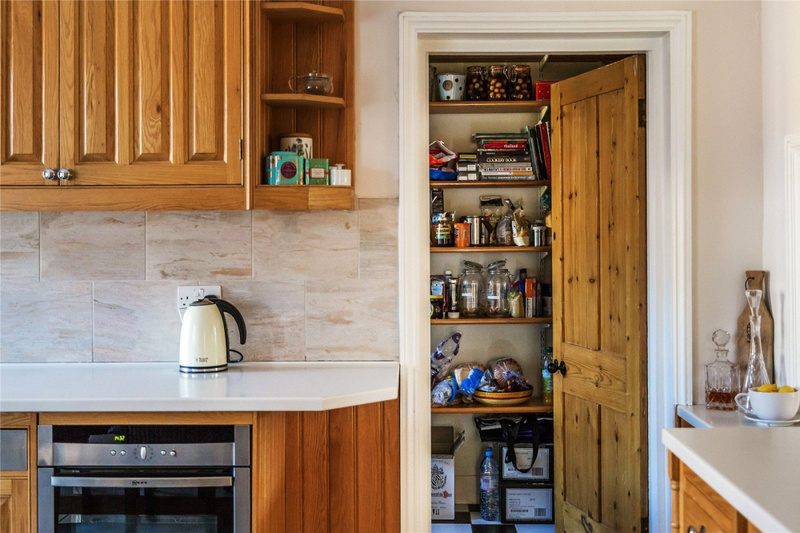 The kitchen is located at the rear of the property and is a good size, there is ample space for a breakfast table as well as a separate utility room and large pantry. 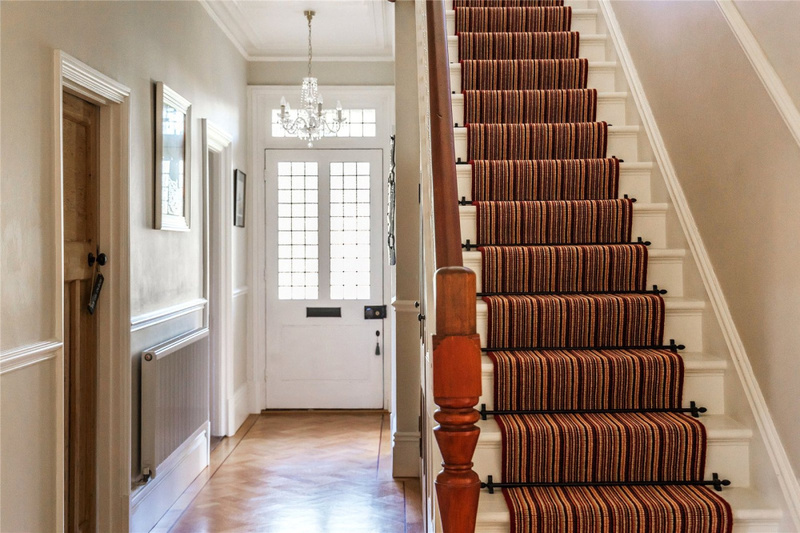 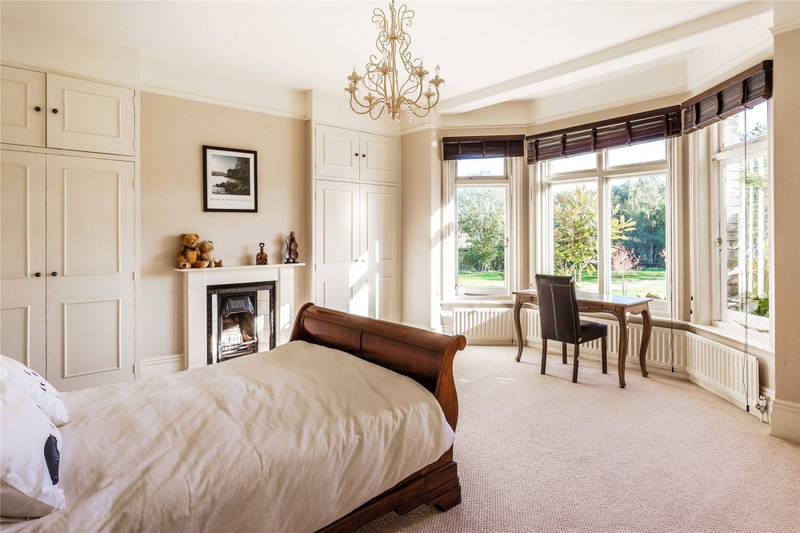 Two staircases offer access to the first floor where you will find five impressive double bedrooms. 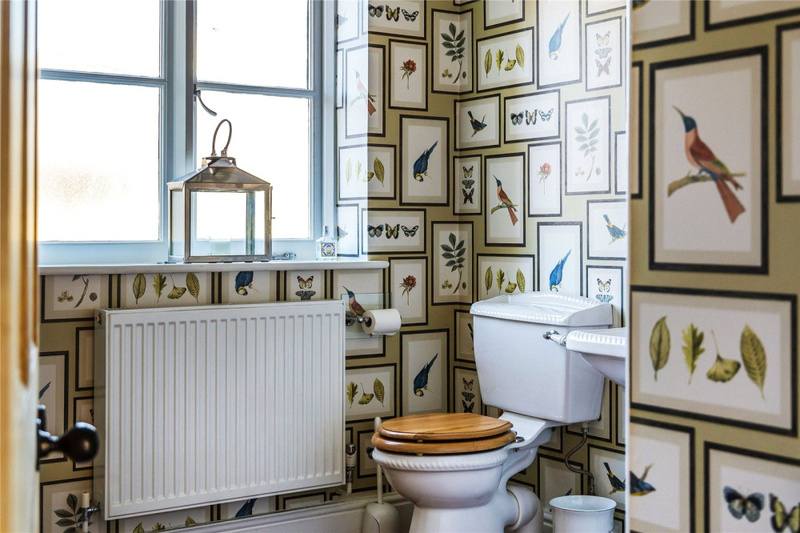 The master features a range of fitted storage options as well as a modern en-suite shower room. 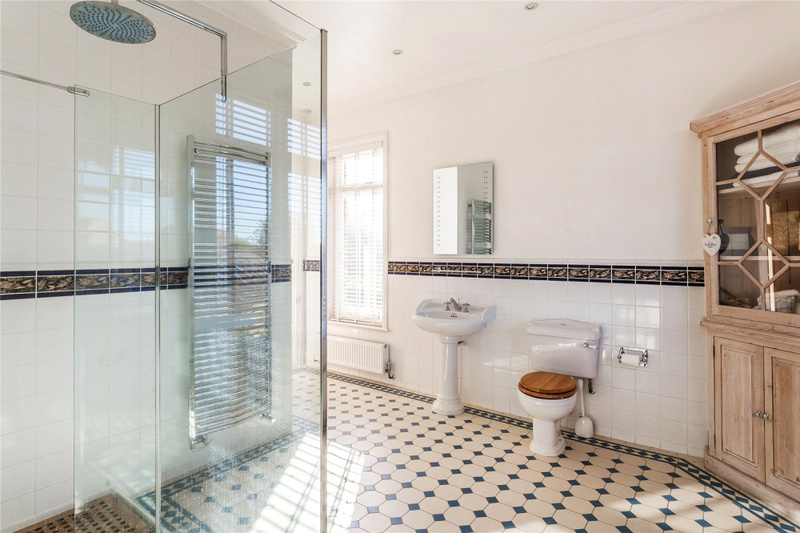 Two further bathrooms are located here one of which offers an en-suite option to bedroom two should you wish. 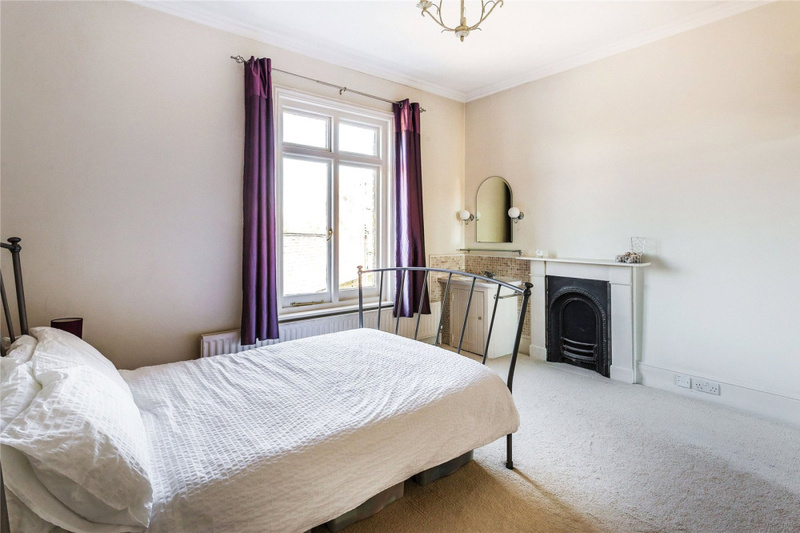 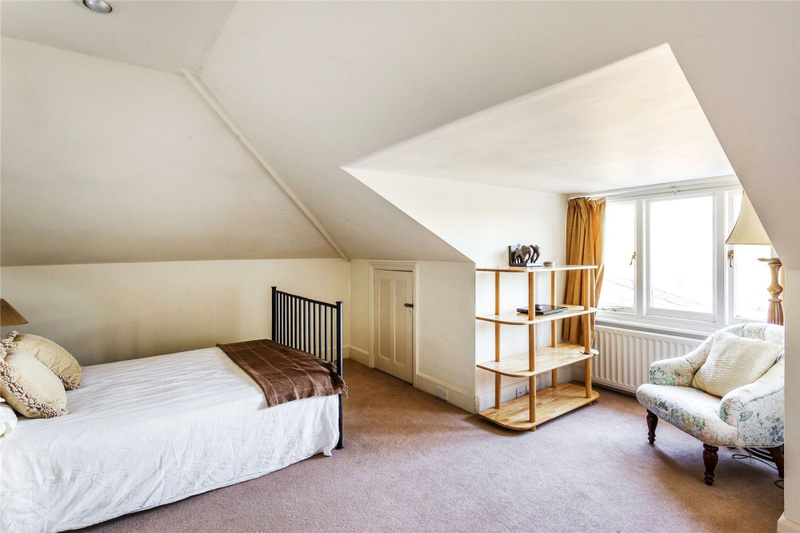 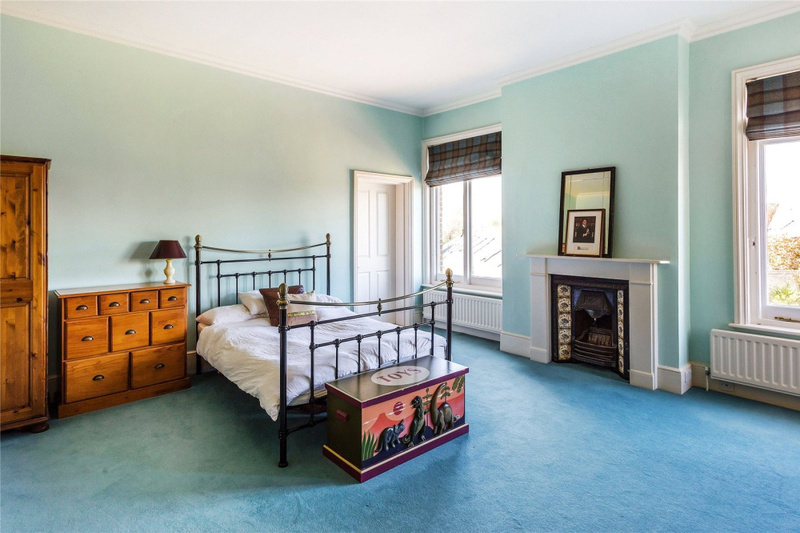 Three additional bedrooms are located on the second floor, these rooms offer flexibility and could provide additional reception space or self-contained secondary accommodation. 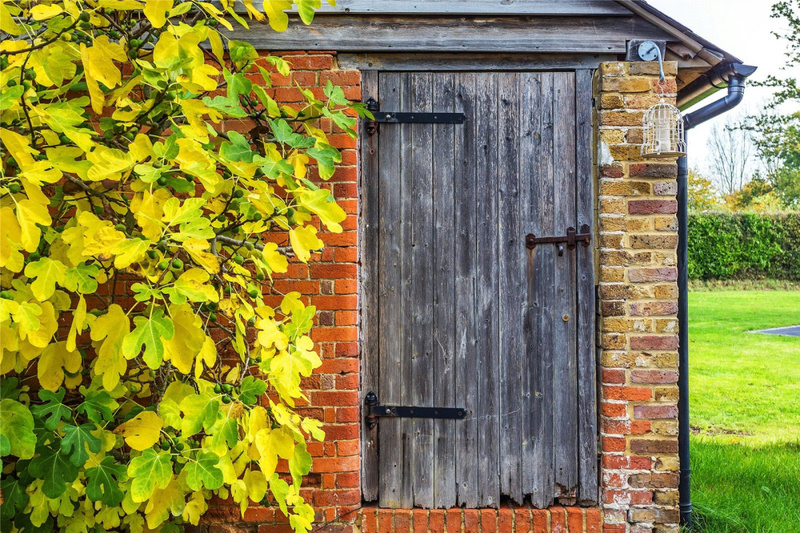 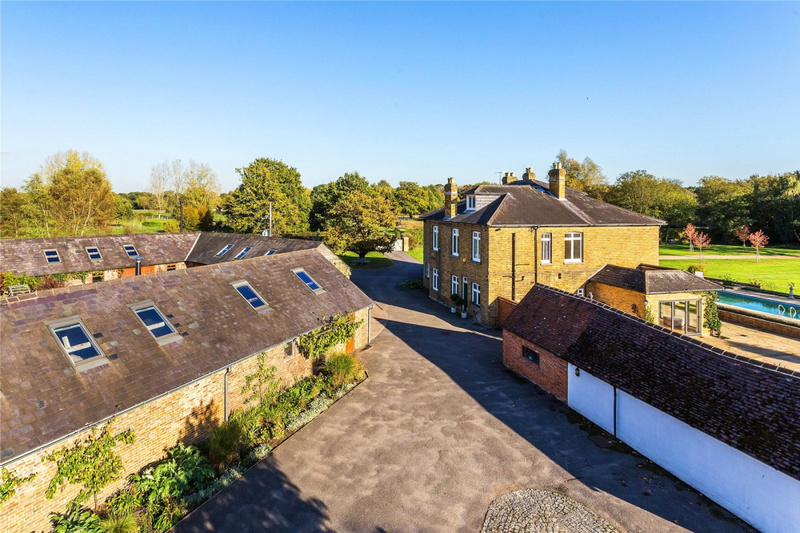 Externally the property comes with a range of outbuildings. 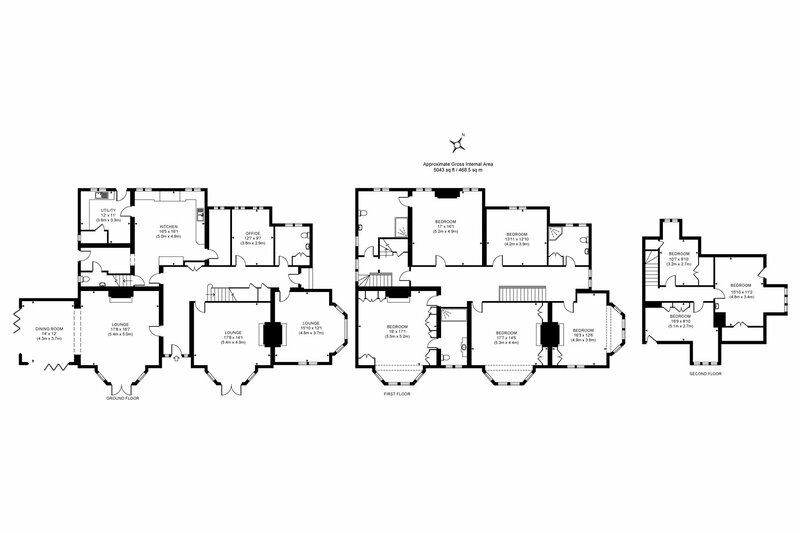 In all totalling over 3000 sq ft. 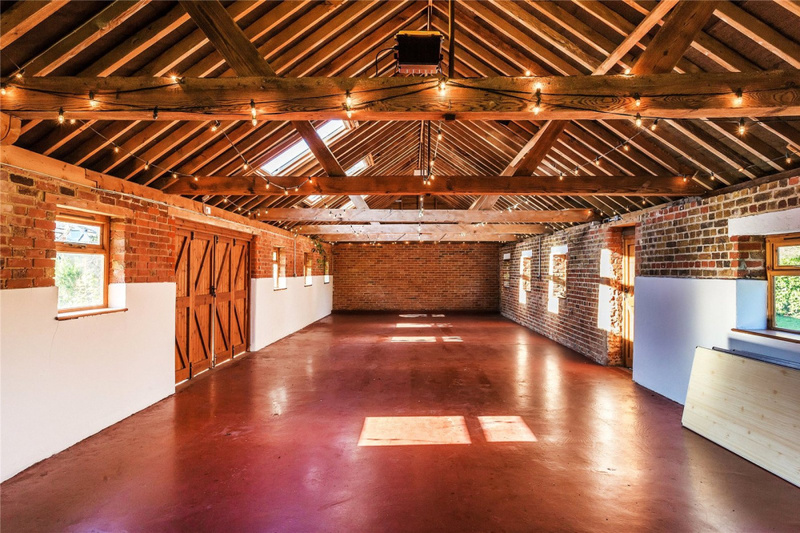 The feature building is an L shaped 64' x 49' barn/function hall, complete with multiple access points and Velux windows this room would suit a number of uses. 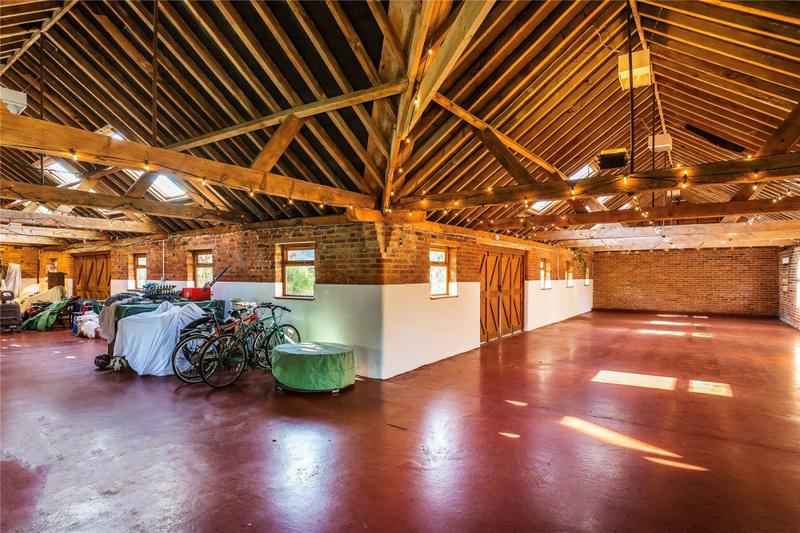 There is also a large double garage located to the rear of the property along, an additional tandem length garage and double height workshop. 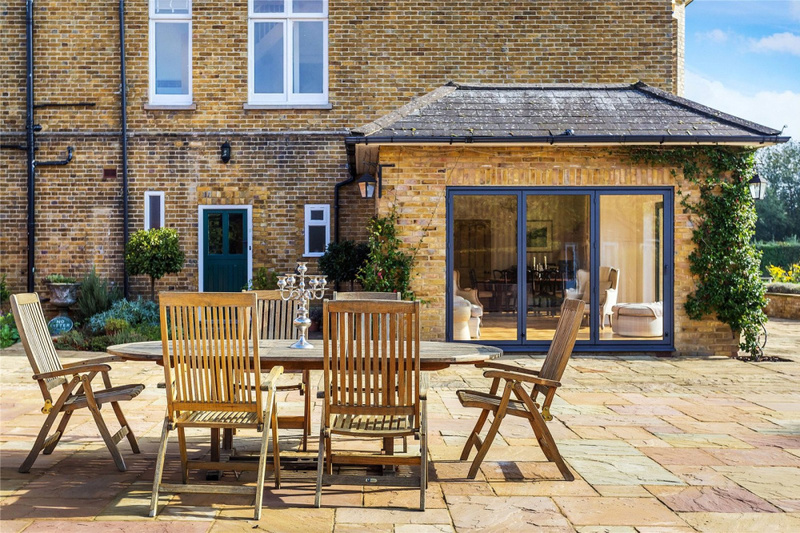 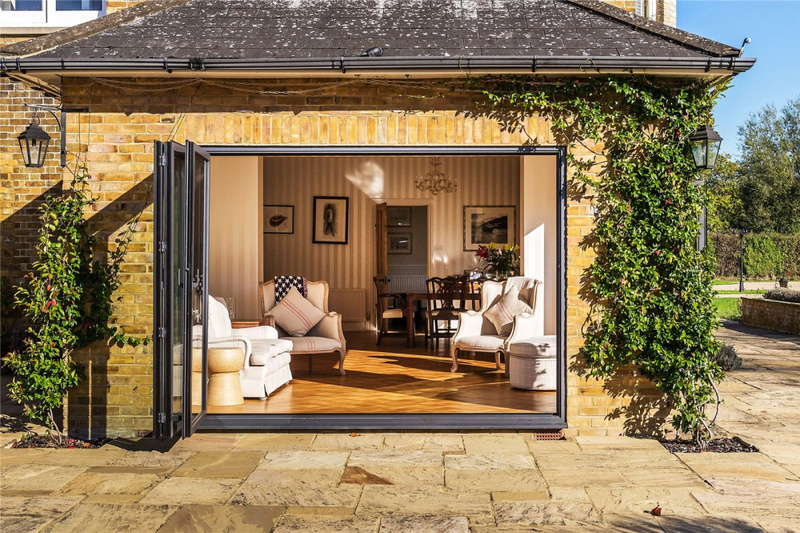 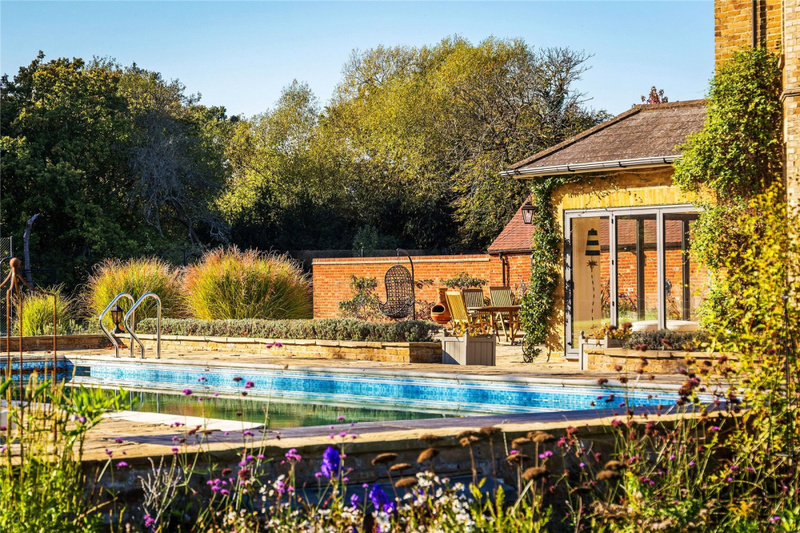 The heated swimming pool and surrounding patio enjoy panoramic views of the gardens which stretch for as far as the eye can see giving a tremendous feeling of space with a sunny south facing aspect set against a wooded back-drop. 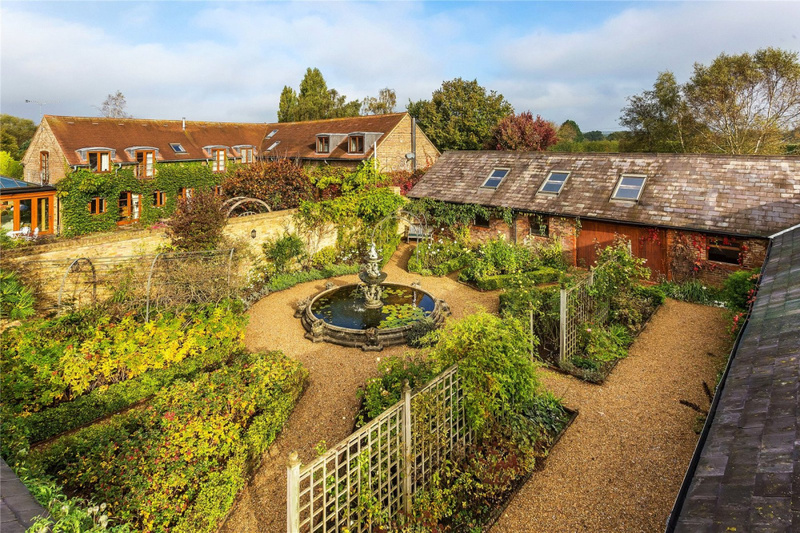 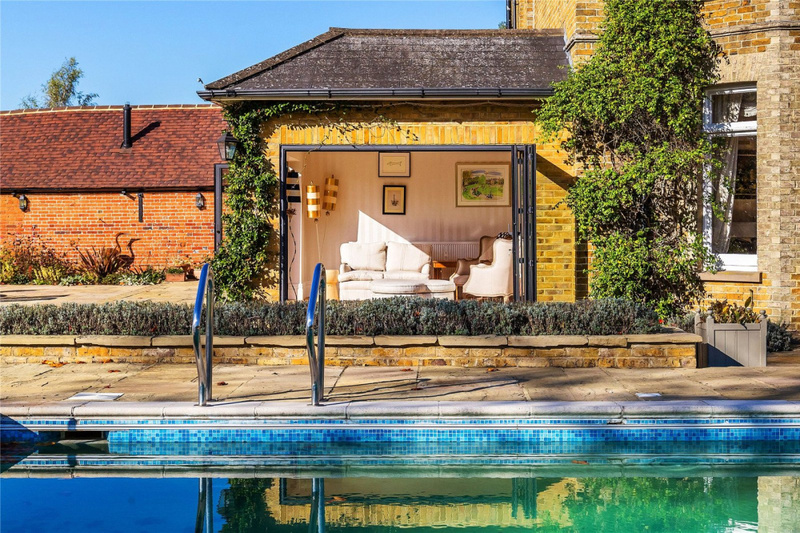 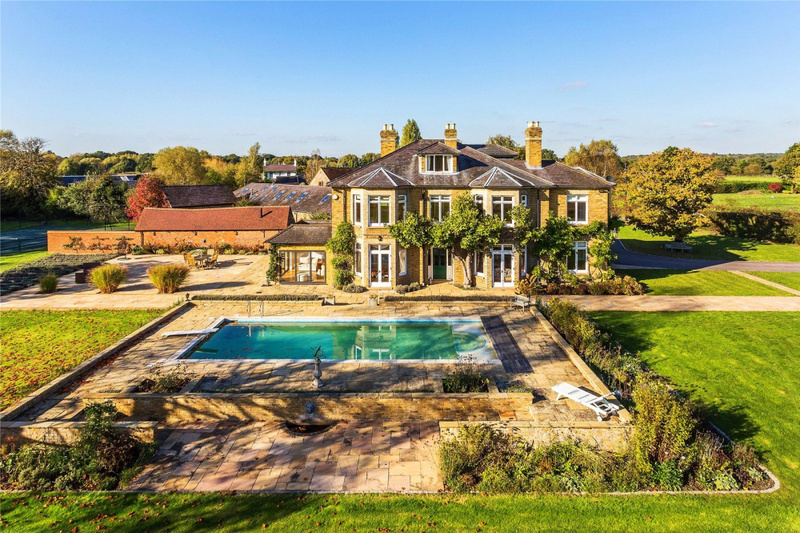 In addition to the pool there is a tennis court and a further walled garden which is not only pleasing to the eye but is also tucked away at the rear of the property directly adjacent to the barn/function hall.